The Chronicle is a free newspaper distributed to, I believe, every house in Canberra. They are thrown onto nature strips (the Australian name for the grassy area between footpath and road) and there many of them stay. In winter, the plastic wrapping your Chronicle cannot keep out all the water from frost, so they end up as delightful parcels of yellowed, soggy paper. The one above has not yet reached full mushroom. Some people end up with months of Chronicles covering the grass outside their home. Talk about first world unsightliness! I saw one man, driven mad by the abundant crop his lazy neighbour had grown, throwing them from their nature strip into their driveway, so they would not be able to ignore them any more. He was genuinely angry. Meanwhile, in the real world…I hear there are places where free newspapers are not distributed! But surely that is just a rumour. 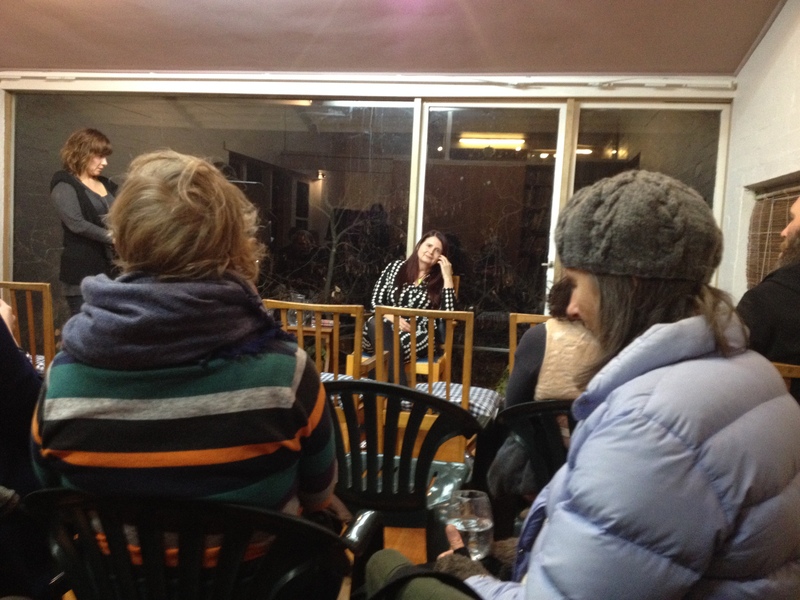 Here I am listening to Judith Crispin say nice things before my reading at Manning Clark House. Despite the photo, the space was packed. 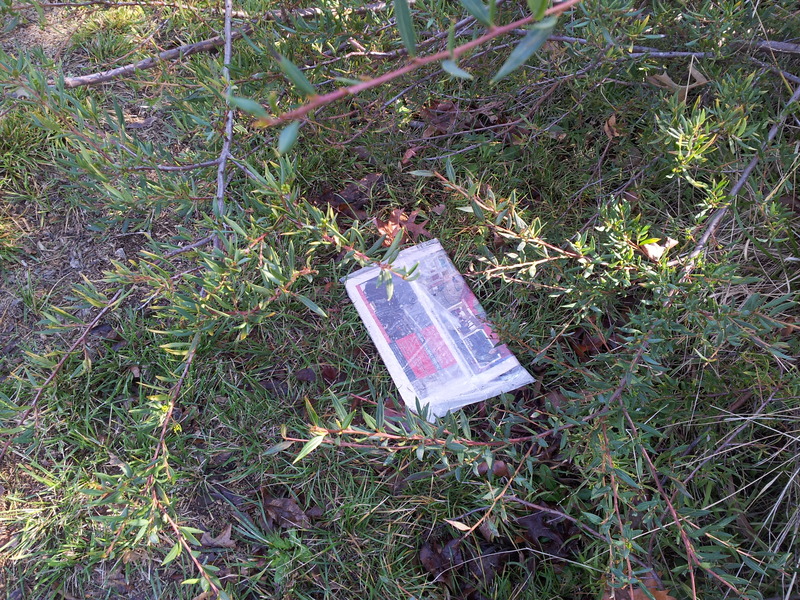 There were as many people as the average Canberra nature strip has Chronicles, but they were a lot less soggy. In most cases. The reading went well; I tried out a lot of new material and I am becoming more confident. Mark Tredinnick was also seemed happy after his reading. Now I am off to throw around a few newspapers.